Emmerson Mnangagwa has appointed Mr Clemence Masango as the new Registrar General, replacing Mr Tobaiwa Mudede who was retired on Wednesday. The President also made four new senior appointments in the civil service. Mr Mudede one of the longest serving civil servants was retired among eight others as the President restructured senior civil servants and Permanent Secretaries. Mr Masango served as the Principal Director in the Immigration Department. In a statement, Chief Secretary to the President and Cabinet Dr Misheck Sibanda said the appointments are with immediate effect. "His Excellency the President has, in terms of Section 202 (1) (b) of the Constitution of Zimbabwe Amendment [No.20] of 2013 appointed the following persons as members of the Civil Service Commission: Ambassador Grace Mutandiro and Mr Ozias Hove. 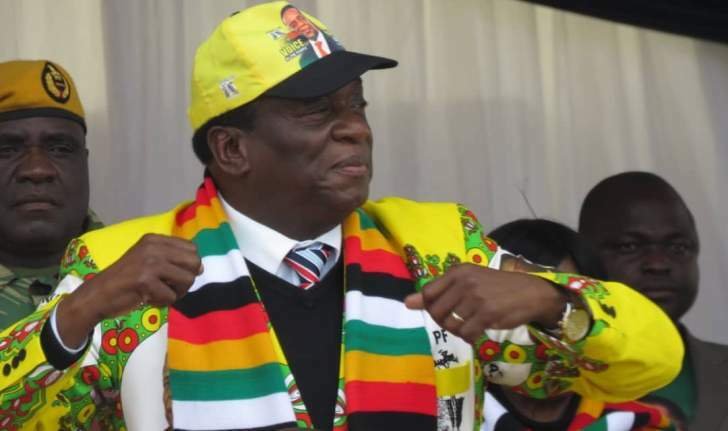 Their appointments are with immediate effect," he said Dr Sibanda said President Mnangagwa has also re-assigned some of the top civil servants to new positions. "The Chief Secretary to the President and Cabinet further wishes to announce that the Public Service Commission, with the concurrence of His Excellency has assigned new portfolios to the following senior officers of Government," said Dr Sibanda. "Mr Willard Manungo-Head of State Enterprise Reform and Corporate Governance Unit at Permanent secretary level, Office of the President and Cabinet, Ambassador Stuart Comberbach-Special Advisor to the Minister of Foreign Affairs and International Trade and Mr Clemence Masango-Registrar General." Mr Manungo previously served as the Permanent Secretary in the Ministry of Finance and Economic Development while Ambassador Comberbach was the Permanent Secretary in the Office of the President and Cabinet. The reshuffling of senior civil servants saw 18 permanent secretaries being appointed while 19 senior officials were reassigned with nine being retired. Those who joined Mr Mudede on retirement are Mr Ngoni Masoka, Mr Partson Mbiriri, Ambassador Joey Bimha, Ambassador Boniface Chidyausiku, Ambassador Kelebert Nkomani, Mrs Ethel Mlalazi, Mrs Anne Knuth and Mr Valentine Vera. The President is yet to appoint Permanent Secretaries for the Ministry of Information, Publicity and Broadcasting Services and Ministry Primary and Secondary Education.